about twice a month, I slip into the patient waiting room and track down my favorite food publications. I usually flip through, find the food articles, and write down recipes that i've found, look for them online, and screen capture the ones I want. That little recipe retrieval operation works really well -as it leaves the magazine intact for future patients to read- however, it didn't go that smoothly this time around. Instead of following my usual operation I took the magazine, reading every food article and questioning what recipe to try first and eventually deciding to keep the entire magazine, never returning it to its place in the patient lobby. 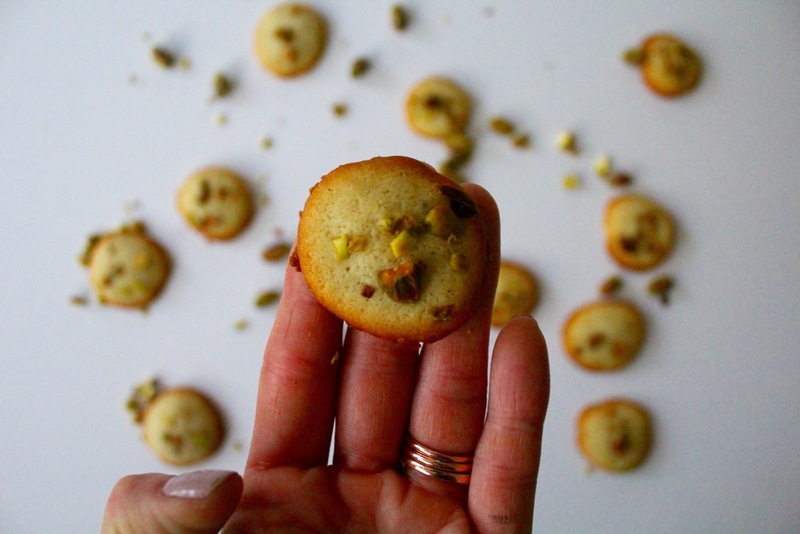 One of the main reasons I went off path was over these tiny cardamom and orange zest cookies. This magazine was now mine; at least for the weekend! Cardamom has been on my baking list all year, I made cardamom creme brulee, cardamom and pistachio crepes, cardamom rice pudding, and a few select Indian dishes that had what else, but cardamom. I love the spicy and astringent flavor of cardamom, just a small whiff from a distance is all you need. Unless you like to inhale ground cinnamon, then go right ahead, sniff away. Not only are these cookies cute -as they are a mere tiny inch and a half- but you can eat handfuls and never feel that guilt like past attempts at restraining to eat just one ritz or being left alone with an entire box of Samoa's. 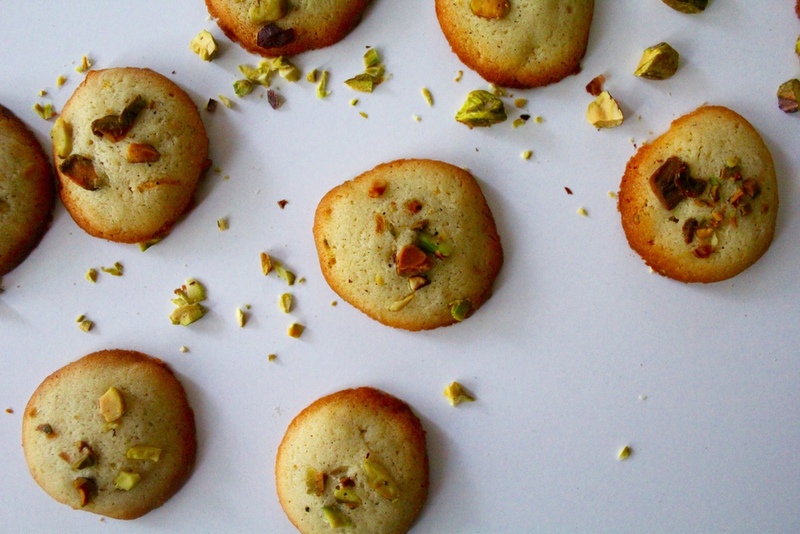 These cookies are light in flavor and sturdy enough to take a dip in coffee or tea. Make a batch for your next sunday brunch session or be that nice person to bring in a plate of cookies to offset the lousy coffee offered at work, people will love you for it! preheat oven to 375. in a medium bowl, thoroughly blend sugar and orange zest, then blend in cardamom. add butter and beat with a mixer until light and fluffy. beat egg and vanilla into sugar-butter mixture, until uniform. on low speed, mix in flour. line 3 baking sheets with parchment paper. drop batter onto sheets using a level teaspoon measure. top each cookie with a pinch of preferred nuts or seeds. bake until crisp and brow at the edges, 10 to 12 minutes. transfer cookies to a cooking rack and cool completely.